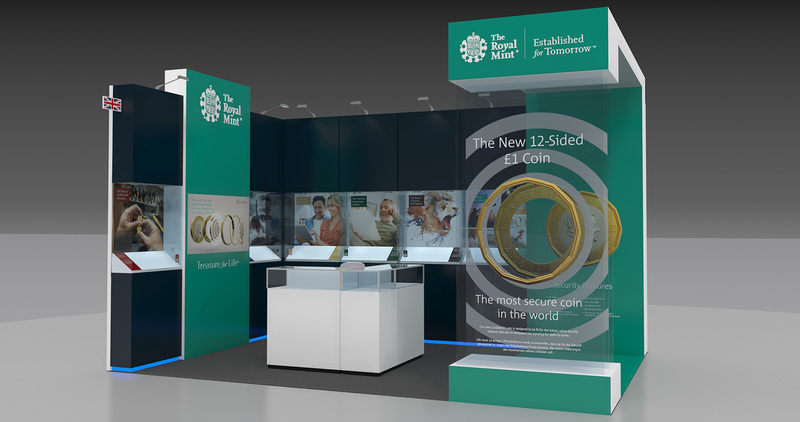 When you’ve invested time, money and resources in exhibiting at an event, the pressure is on to get every element of your stand right. Every staff member should be there for a reason – consider where they are positioned and how they can enhance the customer experience. What about numbers? Too many people manning a stand can be intimidating, while too few can mean missing out on sales opportunities. Give them clear objectives – your staff should reinforce the brand values and messages you’ve worked hard to display within your stand design. “Can I help you?” The one question almost guaranteed to put potential customers off – impersonal, uninspiring and requiring a one-word answer, it’s hardly a good conversation-starter. Train your staff in asking engaging, open-ended questions, leading to quality conversations. Don’t pounce on visitors, you don’t want to drive them to your competitors’ stands! And remember, a welcoming smile and eye contact goes a long way. You’ve spent time and money in designing the perfect stand so don’t let it go to waste – consider what marketing materials to use, how they should be displayed, and how your visitors can access them. DON’T fill your stand with clutter – if it’s not contributing anything, it shouldn’t be there. And don’t include gimmicks just for the sake of it…every element of your stand should serve a purpose. Don’t overwhelm your visitors with too much information, it will just become meaningless – make every marketing message count. It takes seconds for people to walk past your stand; in that time have you successfully conveyed what your brand is, does and stands for? Offer just the right amount of information – enough to attract and intrigue – and your visitors will want to come back to find out more. Never judge by appearances, but qualify your prospects so you can focus on those that are most productive – this is key if your goal is to win repeat business. Can you afford to spend time with visitors that are never going to buy from you, and risk ignoring genuine buyers? Take time to identify your market and target them specifically. If yours is a niche product, you need to attract those prospects that really matter. 6) Make sure your stand’s inspiring! Yes, this begins with strong concept and design, but don’t forget the importance of continuing to inspire on the day – your staff should be enthused about your product or service, and elements such as demonstrations should be energised and engaging. You can spend months planning the perfect stand design, but if it is let-down by lacklustre performances at the event, it will have all gone to waste. It’s not all about looking good, you need your stand to work in practice too. Think about your customer journey through your stand, from a welcoming reception space, to demonstration areas, to incorporating private areas for negotiating… every step taken should further entice your visitor. Consider where your stand is in the hall – if you’re not in a prime position, what can you do to make your stand more visible? Perhaps your stand includes a café giving away free coffees? Or it incorporates specialised lighting and interactive displays? Or perhaps you simply choose to focus on old-fashioned impeccable customer service! You don’t necessarily need to fill your stand with ploys and promotions to attract your customers, but you do need to offer something that makes you stand out from the crowd. Is your exhibition abroad, does it have certain rules and protocols you need to abide by, are you aware of the size and weight limitations of your stand, can you set-up and pack-down within deadlines…? Such is the scale of logistics involved that it nearly always makes business sense to use a professional stand design company to take care of things for you. It also pays to acknowledge that sometimes things will go wrong – so get your contingency plans in place just in case. However successful your exhibition you’ll put it all to waste if you don’t follow up on those all-important leads. Keep notes and records throughout the event, and a follow-up schedule for the weeks afterwards. And most importantly, stick to it! Keep in contact with the leads you worked so hard to secure, and you’ll ensure your business continues to benefit from the exhibition long after the event itself. If you’d like to know more about how to make the most from your exhibition or event, just get in touch with the team here at Fernleigh Design – from bespoke stand design, to exhibition stand installation, to live events project management, we’ll gladly offer advice and support.